Mark Sheldon had this piece over at MLB.com about Cincinnati’s search for a leadoff hitter for 2011. There is no easy, or obvious, solution. My guess is that Brandon Phillips returns to the leadoff spot next season, but no one believes that BP is an ideal leadoff hitter. Drew Stubbs may get another shot, and he’s probably the best of the in-house candidates, as far as I can tell. If the Reds are going to go outside the organization to find someone for this role, barring some kind of blockbuster trade, it will probably have to be a left fielder or shortstop. Sheldon mentions a few names, some who don’t interest me at all (Scott Podsednik, Coco Crisp) and one who is nothing but a dream (Carl Crawford). Anyone else available? If I were manager, I’d pencil Ryan Hanigan into the leadoff spot five times a week. That’s how I roll. Is this *really* a question? Stubbs, Stubbs, Stubbs. 💡 The young guy showed good improvement as the season progressed and there’s no reason to think that it won’t continue. Personally, I think that’s both easy and obvious, but maybe that’s just me. Carl Crawford would be the only guy mentioned here that the Reds should even consider instead of Stubbs, and that’s about as likely as seeing Ty Cobb batting cleanup for the Reds next year. Is this *really* a question? Stubbs, Stubbs, Stubbs. The young guy showed good improvement as the season progressed and thereÃ¢â‚¬â„¢s no reason to think that it wonÃ¢â‚¬â„¢t continue. Personally, I think thatÃ¢â‚¬â„¢s both easy and obvious, but maybe thatÃ¢â‚¬â„¢s just me.Carl Crawford would be the only guy mentioned here that the Reds should even consider instead of Stubbs, and thatÃ¢â‚¬â„¢s about as likely as seeing Ty Cobb batting cleanup for the Reds next year. Personally, I agree — and I’m hoping that Stubbs is working on about 100 bunts a day in the off-season. I’d pencil in a top 3 of Phillips-Bruce-Votto. In other news, I saw in passing on MLBTR that the Reds are trying to work out a Rolen-esque extension with Bronson Arroyo. Honestly, I don’t get what people see in Walt Jocketty. @Brien Jackson: His predecessors were Wayne Krivsky, Dan O’Brien, and Jim Bowden. It’s not hard to look good in light of that. @Brien Jackson: His predecessors were Wayne Krivsky, Dan OÃ¢â‚¬â„¢Brien, and Jim Bowden. ItÃ¢â‚¬â„¢s not hard to look good in light of that. Take a look at the minor league organization (and even the big club) and see who put that together, let’s not short O’Brien, Krivsky, and even to a much less extent Bowden, their share of this year’s success. On leadoff hitter, I’d go with Stubbs. His OBP in August (.363) and September (.406) were great. He still strikes out too much, but given the available choices, that’s what I’d do. The Reds’ biggest lineup concern is who is going to bat clean-up, presumably between Votto and Bruce. We got away with Rolen for half the year, but I doubt Rolen’s first-half power numbers will be replicated. I think the Reds highest priority is acquiring a power-hitting LF to bat fourth. On Arroyo: the contract extension makes no sense. My only (wishful thinking) defense of it is to lower the Reds salary commitment to BA this year to help with acquiring a free agent, and then trading Bronson (and his cheap extension salaries) to a SP-desperate club in a year. The “Rolen-esque” extension of Arroyo’s contract will not happen anyway. He has already stated publicly and clearly that he will not do that. I would imagine that depends on how much money he’s getting in the whole package. Which, you know, is why it doesn’t make any sense for the team. Isn’t it just time to acknowledge the obvious? Jocketty values veteran players more than young players, and he has no issue with overpaying them or giving up more valuable young guys to get them. That’s the way he’s always been, and he’s not going to change that now. @RedinTenn: Stubbs hit 25 home runs this season. He has the power to hit 30+. Why on earth would you want him to bunt, other than the occasional surprise to catch the other team off guard? Power is a much more valuable tool than speed. The “occasional surprise” can be valuable. Heisey started some game winning rallies with bunt hits. And once the other team knows Stubbs can lay down a bunt, all he has to do is show bunt to draw the IF in. This would help his BA and OBP. I agree that his power is more important than bunting. But that’s not the debate. Learning to bunt is not going to hurt Stubbs’ power. Mickey Mantle was an excellent bunter (on his own, of course, for base hits). Personally, Stubbs strikes out too much and he’ll never be a good bunter. Heck, with his power, it’s not in the team’s best interest for him to bunt. So, I believe you should explore a leadoff hitter who can play left field, and in the absence of finding one, find the best available LFer who you can acquire in trade. To that end, here’s 3 players on rebuilding teams who could use players that we have to fill out some holes in their lineups–1B, 3B, OF, P. We could package Alonso, Francisco, Heisey or Sappelt, and maybe a Bray. Andrew McCutcheon. Leadoff hitter w/ speed. Nick Markakis O’s have lot of holes to fill. Shin Soo-Choo Same for the Tribe. Stubbs batting first is an okay, but overall, not a great idea. This idea of having him bunt is even worse. He has power. Why take that away from him? The Reds shouldn’t try to turn him into something he’s not. @MikeB: @per14: I agree with the overall gist of your comments, but there were several occasions this year that Stubbs’ inability to bunt hurt the team. The threat of a bunt alone would help his overall numbers in the end. Crazy idea?? Drew Stubbs, and his 22 home runs, as clean up hitter, batting between Votto and Bruce. @Steve: I’ve actually thought about that. I like it, but only if he can cut down on his strikeouts by about 20%. A) Look at Walt’s history, like him or not, his teams win. B) Stubbs has power, but he needs an all around game which includes adding he ability to bunt. A) Look at WaltÃ¢â‚¬â„¢s history, like him or not, his teams win………. And Fay is just trying to keep his blog clicks up with pieces like today wondering how long the Reds can afford Votto. Walt’s history is also that he affords his top talent and finds a way to fill out the rest of the roster with competent contributors. @dn4192: If he gets on base and has power, bunting is irrelevant. You don’t see calls for Votto or Bruce to start bunting. I agree that Stubbs needs to learn how to lay down a sac bunt, because about once a season, it’s the appropriate thing to do. But, I’m not in favor of him working hard at learning to bunt for base hits. With the current roster, I actually liked BP hitting lead off. Until September–when he was clearly hurting–he did alright. I think batting lead off forced him to be more selective. Now, if we could just convince him to stop trying to steal so much. Stubbs is not Votto or Bruce. He has more speed and less power. @pinson343: I’m not saying he shouldn’t learn to be a proficient bunter, but to hear some people talk about Stubbs (both inside and outside of the organization), they think he can be the next Vince Coleman or something. It’s one thing to learn to put down a bunt, it’s another to want him to neuter himself and become Whitey Herzog’s version of a leadoff hitter. I can go with either BP or Stubbs as the leadoff hitter. The main thing would be to up their OBP a little. Last year Stubbs was .329 and BP was .332. But Stubbs did better than that in the second half and BP was close to .350 for most of the season, playing with the hand injury hurt his stats. The problem with BP leading off is that he thinks he needs to steal bases, but he doesn’t bothering studying the pitchers’ moves, so he gets picked off or caught stealing about 50% of the time. That really hurts his OBP, in effect. Stubbs striking out hurts more when he’s batting 6th or 7th, because then he’s striking out a lot with a runner on 3rd and less than 2 out. That can happen batting leadoff, but not as often. The main thing is to not trade for some weak hitting guy just because he has speed. Then we’d have another Patterson/Taveras situation. @MikeB: I agree with that. Actually, I like a leadoff hitter who can hit HRs. Pinson: Actually, I like a leadoff hitter who can hit HRs. McCutcheon was .374 w/ a lot of steals and doubles, plus a near even K/BB rate. How good would he look batting leadoff? Surely we could make them a nice offer. @Sultan of Swaff: I like McCutcheon, Markakis, and Soo-Choo. But are any of them available ? I do not see the Pirates trading McCutcheon, there’d be a riot. In any case you’re on the right track. WJ makes me nervous when he says we need a leadofff hitter or a run producer. We need a run producer, Walt. Let’s not repeat the offseason when we needed to add a good bat to the OF and Walt came up with Taveras. Related post this morning at MLBTR: the trade market for left fielders. David DeJesus? Conor Jackson? Choo is arbitration eligible but wants out of Cleveland. We have the trade chips to make something happen there. I like Markakis too. I don’t think there’s any way to get McCutcheon out of Pittsburgh. If things look a bit screwy today, it’s because I messed things up when trying to deal with a spam attack. Hope to have everything fixed ASAP. If things look a bit screwy today, itÃ¢â‚¬â„¢s because I messed things up when trying to deal with a spam attack. Hope to have everything fixed ASAP.If things donÃ¢â‚¬â„¢t look more screwy than normal, forget I said anything. Stubbs is not either of those players. Again given his speed and High K rate, being able to add the ability to bunt for hits does nothing but make him a better player. if i had any confidence in management that he would be rightly considered the front runner to start in LF, i wouldn’t mind seeing heisey leadoff. certainly his getting on-base is less dependent on batting average than phillips, even with phillips supposedly being more patient when leading off (not that i wholeheartedly disagree with the notion, just haven’t seen anything that backs it up). stubbs would be my second choice, if only because of his power potential. whether leading off the game or following the 8/9 hitters, i’d prefer he have men on base. of course whether his 22 HRs this year were a byproduct of look or actual progression are an entirely different article. Ok, add me to the “I like McCutcheon” list. He’s a baller. Does anyone else think he looks like a centaur from the waist up? No. Seriously. 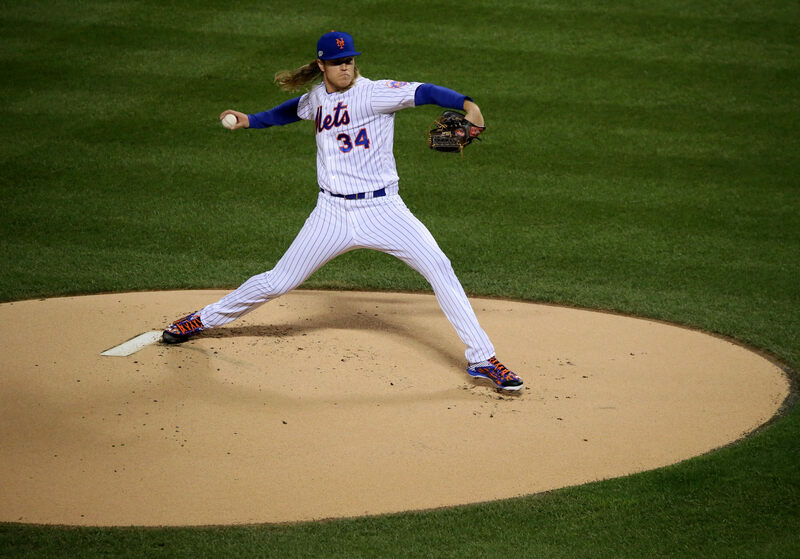 And the beardo, Werth, would be awesome but that’s also not going to happen. Plus, in a couple of years I don’t know if Stubbs won’t be a better player than the beardo. Choo, Markais, Jackson, etc. are not better than Stubbs will be – likely next season. Print this or write it down: he’s an all-star within the next three years. Well, maybe he *should* be an all-star, but that ridiculous popularity contest is a bit skewed when it comes to selecting players who deserve to be there based on the way they played that season. Thanks Pinson, River City and dn4192 for havin’ my back while I actually had to get some work done. I wasn’t overlooking Stubbs’ power at all, just looking at improving OBP and having more versatility – especially if he’s going to lead off. Here is a crazy idea: Paul Janish had a higher OBP (.338) than either BP or Stubbs last year. If he could get it to .350, why not give him a shot. With the current roster, that is. Love it! Great idea, except isn’t it unusual for the bat boy to lead off? I think I’d like to see the Reds take a chance with Coco Crisp next season, so long as he is a free-agent on the cheap. Great defense, ton of speed, switch-hitting, and he fills the veteran profile that Jocketty and Baker cherish. He could be better at getting on base, but he’d definetely be better than anyone else on the team for the lead-off position. Personally, I think he’s good for 2-3 WAR over the next few seasons, which could be a steal at the right price. @MikeB: I agree. We should try to sign Adam Dunn for the LF spot. Highlighting the utter insanity of batting Cabrera second (when he wasn’t batting lead off). Votto is very obviously the best hitter and also best HR hitter at the current time, which is why I put him 4th. Hanigan is just as obviously the next best OBP guy. You could argue that being a full time C and the team’s leadoff hitter would wear on him, which is a legit argument, but I’d put him there for now. As long as Stubbs continues to make progress I’d definitely put him over Phillips (besides I just don’t like Phillips in the 3 hole) and Stubbs ceiling is much higher at this point. Obviously it looks a little goofy because it flys in the face of much of the conventional wisdom. But I like the result, plus we still separate our two lefties. @RedinTenn: No problem at all. I hate it when I have to leave the blog during a debate because of getting distracted by stupid work. Love it when someone picks me up while I’m gone. On another topic. Rather than who bats first, who’s on first ? 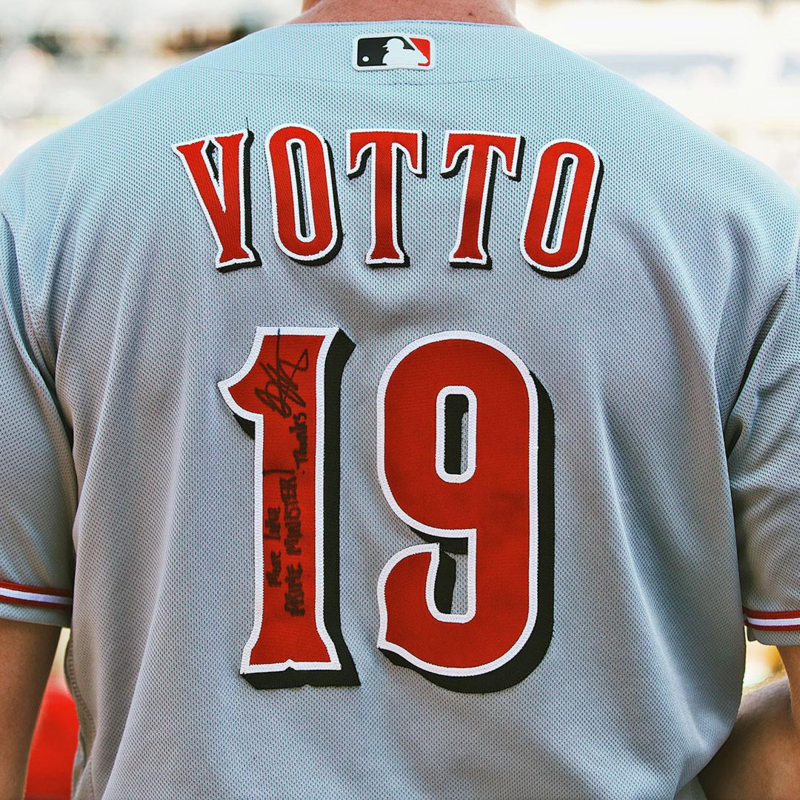 Joey Votto, of course. I believe Fay’s right about that. Then it comes down to what Joey thinks is fair. He’s outwardly modest, but he also knows how good he is. I always wanted my 2 best to be guaranteed to bat in the 1st inning. I always treated the 9 spot as a 2nd leadoff spot. wow, lot of stuff in here. kind of overwhelming for a first time poster, but here goes. i have seen so many names mentioned for left field. werth and crawford, too expensive. mccutcheon is not gonna be sent out of pittsburgh, they would take too much heat for it (could be wrong, thought the same about a couple guys). i read something about choo having to serve military time in his home country, but i never saw if it was resolved. dont know much about markakis, but his power disappeared. maybe dejesus, but not sure how he comes back from injury. my guess (not that i agree) would be podsednik. as for the other guys, hannigan doesnt even have an everyday job yet. same with janish, as they are still tryin to find a ss. if the offseason priority is lf, heisy is out as far as leading off. my guess here is stubbs to start with, phillips as back up plan. and the only way arroyo signs an extension is for competitive dollars, and an absolute full no-trade clause. boston already screwed him over on that move once. The only trade candidate I would consider for lead off would be Furcal, but that isn’t going to happen either. I love Hanigan in the two hole and if Hernandez or whoever is backup catcher is playing, swap them and Heisey. I’m not to fond of having Hanigan batting 1st or 2nd. He’s going to be switched on and off with Hernandez, so what’s the point of throwing off the top of your line-up every few games. Plus, we never know what Jocketty plans on doing at the C position. @jrob45601: Welcome and great first post. I agree with everything you say. Didn’t know about the Choo situation, I wonder if that’s resolved. Like you, I don’t want Posednik, but if I we are going to pick up a LFer, and Choo isn’t available, he seems the most likely. It’s best to chop a long post like that into separate posts, or at least indent. If it looks hard to read, we’re the ones who will be overwhelmed. Just checked out Posednik’s stats. He played so poorly for the Dodgers, hopefully it will scare WJ off. Plus he’ll turn 35 before the 2011 season starts. For a guy whose whole game is speed, that’s too old. Red Sox indicate he is available and we have the prospects to get him. What’s interesting is that in every scenerio that produces over 4.5 runs per game (best 20), they have Hanigan 1st and Cabrera 9th. What’s also interesting, is when I switch out Hanigan for Hernandez, Hernandez also bats 1st for most of the lineups, athough it doesn’t produce as many runs (4.99 vs 5.219 w/Hanigan) and after the 1st 10 lineups they put Votto in the 1 hole. Of course, this is based on last year’s numbers alone. Podsednik would be Willy T, version 2.0, only worse. I could get behind the Jacoby Ellsbury idea especially if we can find a good caddy for Rolen and/or a better SS option. If we don’t get those things, I fear we’d need more power from a LFer. Podsednik would be Willy T, version 2.0, only worse. I could get behind the Jacoby Ellsbury idea especially if we can find a good caddy for Rolen and/or a better SS option. If we donÃ¢â‚¬â„¢t get those things, I fear weÃ¢â‚¬â„¢d need more power from a LFer. per14: You nailed it. I’d be very happy with the combination of Ellsbury in LF and Stephen Drew at SS. Agree with per14 and my buddy Pinson343 – I would love Ellsbury, if the BoSox make him available. I shudder to think what they would want for him though. DeJesus @ KC makes a lot of sense. I know alot of people like BP for this apsot – I am not one of them. I have been chastised in the past for even suggesting this, but I think that @ $11MM next year, he is trade bait. Toronto would probably part with Fred “The Bunion” Lewis for cheap. He can steal a base and is an average hitter, but I don’t know if he is better than what we already have. I would give the Pirates a SP and two good prospects for MCutchen in a heartbeat, but there is no way they part with him. I’ve heard several complaints about Ellsbury’s defense. They said he relies too much on his speed, and gets bad jumps and takes bad routes, which is bad news for a guy who has started to get injured. Those statments could have been in regards to when the BoSox were trying to force him into center field though to “optimize” use of his speed. That wouldn’t be a problem in Cincy in any case. That said, I don’t know much about Ellsbury. I’ve seen him play here and there, but Red Sox games take absolutely forever. Plus, I start getting physically ill as the conversation switches from the game to how many holes the Red Sox have, and how they are going to fill them in Free Agency. They are just like the Yanks, and I hate it when they pretend they aren’t. Woooooo. Who just blew off steam? Anyway. Is Ellsbury as good at everything as people think? I checked out some of Ellsbury’s defensive stats. 2008 he split time at all 3 OF spots (66 for CF, 58 for LF and 36 for RF). He made no errors, though we all admit this is a terrible fielding metric. Baseball reference has his defensive runs saved above average at 14 total, with 6 in RF, 5 in LF and 3 in CF. It’s hard to make a decision on all of this in one season, but, seems to me, that the man is a corner outfielder. Then Adrian Beltre killed him, and we haven’t gotten a decent sample size to make a proper decision. That being said, he is elligible for arbitration in 2011, and made a shade under 500 K last year. He will be a free agent in 2014. Sticking him in left seems okay to me, but it’s going to cost a pretty penny. Not that this relates to who bats first, but LF, I see that the Yankees have declined the option on Lance Berkman. – He has played the outfield in the past, but has had knee problems recently. – His asking price has to be greatly reduced, How much? Was at $14MM @ age 34, so I think that he will garner DRASTICALLY lower $$ next year. Who knows, but a switch hitter for left field. . .I have mixed feelings here, especially based upon the knee and age – no more than a 2 year contract, but I am curious as to what anyone thinks about this option & what is he worth npw? @lookatthathat: Thanks for the research. I like Ellsbury. As an offensive player, he has serious speed and he uses it. He does what you want a contact hitter to do – make contact. He knows how to steal bases. His lifetime OBP – .344 – is not outstanding of course but it’s better than what we’ve had leading off and maybe it will get better. I’ve been impressed by watching him – a very aggressive player, he loves to pressure a defense. I like what I’ve seen of him in the OF. Lookatthat’s numbers above suggest he is a good corner OFer. He would be light years better than Gomes in LF. Last year’s injuries might be a good thing, in terms of keeping down the price a little. Don’t know where else to post this – how could Carlos Gonzalez be named Player of the Year by the players, over Votto and Hamilton? There’s jealousy or something weird at work there. He can’t even hit outside of Coors. He should be named the Coors Lite Player of the Year. From Fay’s blog, I see that Dusty sees Chapman in the bullpen next year. Yet WJ has definitely said he’ll be starting next year (I suppose possibly at AAA in April). Do these 2 guys talk with each other ? Wooo. Thank goodness Jocketty has gotten that one right. I loves me the Dusty brains.